OXID eXchange | Sprachpakete Frontend Französisch CE 1.3 | Stable | CE | 4.9.x | Module, Themes, Language Packs direkt herunterladen! 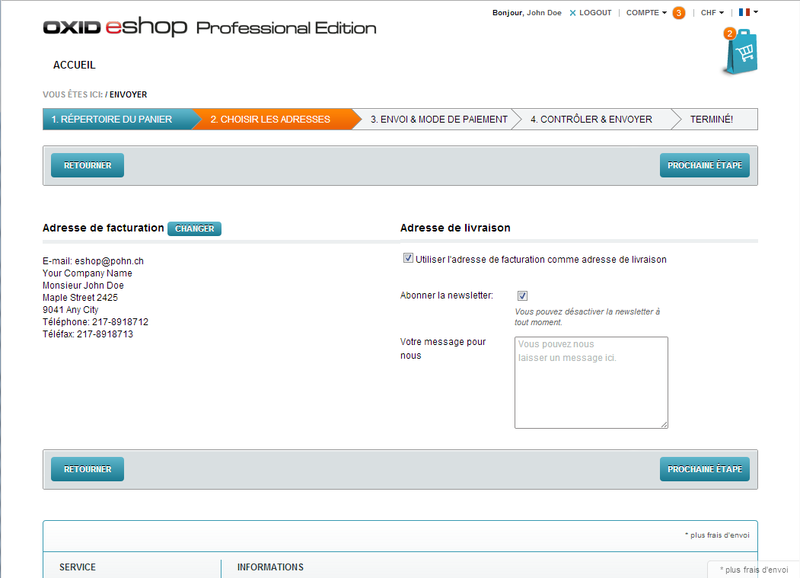 Offer your customer an eshop in French.The license allows you the usage and modification of the language files. You may change the files to your liking. The installation of the package is not included in the paid price. Upon request, we offer assistance with the installation. This package includes the translations for the default frontend theme "Azure" and nothing else.No Admin translation whatsoever is included, this also applies for pdf generator translations and other modules. 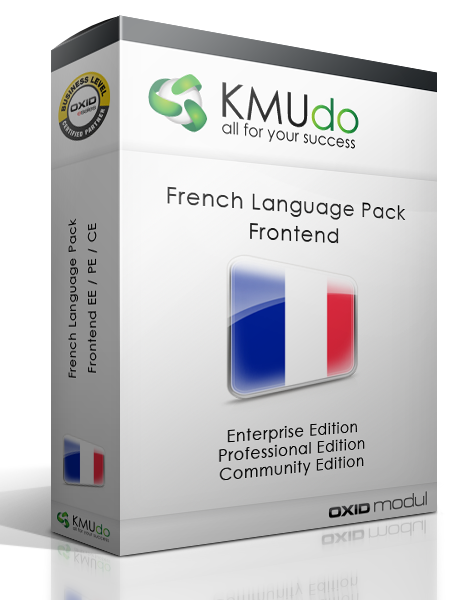 Please have a look at our other modules: French and Italian Backend (admin area), italian frontend and the complete language multipacks.